Saint George, the Problem Slayer. 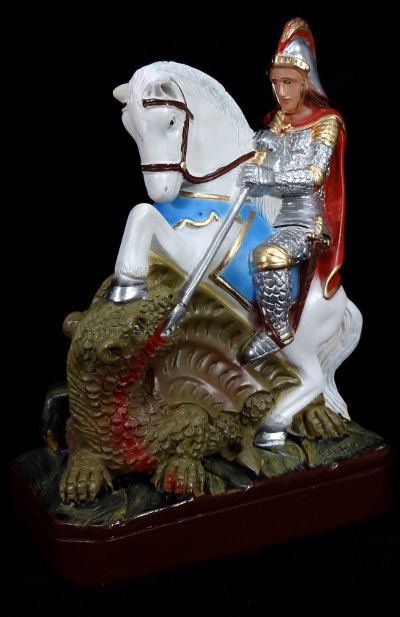 Often depicted on horseback slaying a dragon, Saint George is a soldier who was known for his martyrdom and bravery. The dragon depicts evil, or conflict, and this image represents the ability to conquer that which afflicts you. 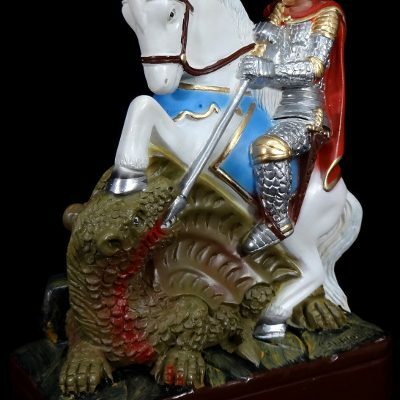 Saint George was a Greek who served in the Roman army. He was martyred for staying true to his faith against the Emporer Diocletian. He is the patron saint of England, soldiers, boy scouts and equestrians. This image statue is 25cm tall (9.8 inches) and sits on a platform base.